Neighbours have objected to an eaterie called Neighbourhood having a licence to sell wine and beer. They are worried that another premises with a drinks licence in the North Laine area of Brighton would add to problems with noise and bad behaviour. Neighbourhood is owned by Laurence Hill, manager of the Fortune of War pub. It has opened in the former Inside Out café cite on the corner of Kensington Place and Gloucester Road in the last few weeks. It currently operates as a café but Mr Hill wants to turn it into a vegetarian and vegan restaurant serving beer and wines. 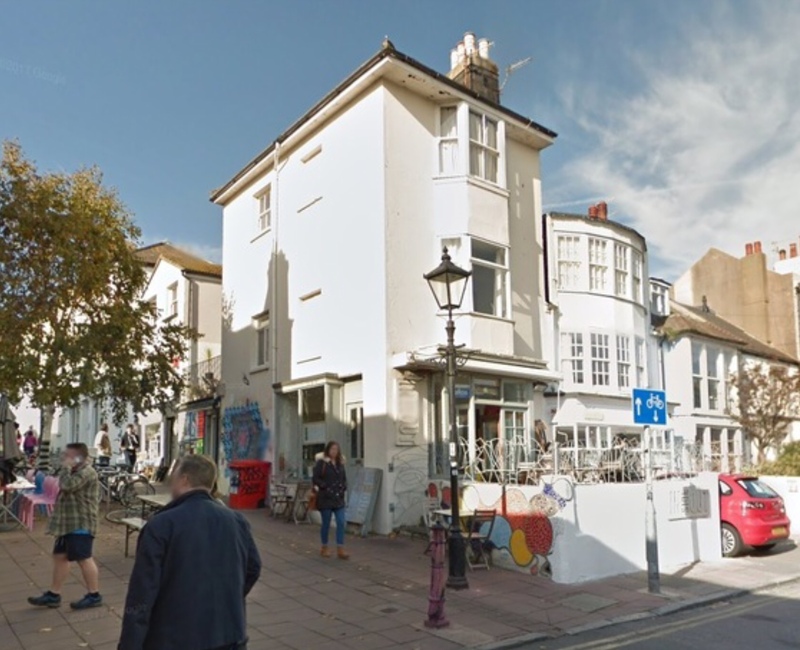 A Brighton and Hove City Council licensing panel heard from neighbours in Kensington Place and representatives from the North Laine Community Association who said that even the best-run place would make a difference to noise levels. Peter Crowhurst, of Kensington Place, said that people living in the area had stuffered since the change in licensing laws allowed for longer opening hours. He described the North Laine as “saturated with licenced premises” with up to 74 in the area and 12 within 100 metres of Neighbourhood. Mr Crowhurst said: “People who live here already have to contend with noise from restaurants. The North Laine is within an area designated a “cumulative impact zone” where council policy is not to allow any new pubs, clubs or off licences. But the policy is more flexible towards restaurants and café bars. Marina Ray, of Gloucester Road, said that she was concerned about increased noise from the outside terrace as the previous café had what she described as a “wobbly tressle table” in the pedestrian area. She said: “La Choza has a licence outside and there will be a section of the pedestrian area with people eating and drinking. Green councillor Lizzie Deane spoke against the application saying that noise was driving residents out and could result in a transient population instead. She said: “North Laine is a victim of its own success. It is less enjoyable for people who live there and keep it all together. Labour councillor Jackie O’Quinn, who chaired the licensing panel, said that she was aware of young people moving out of the area because of noise. And she was concerned about houses being taken over as “party places” by businesses such as Airbnb. She said: “It is the residential element of the area that is concerning. Mr Hill said that he had lived in Brighton for the past 15 years and was familiar with the issues in the city and the North Laine area. Mr Hill told the licensing panel that he didn’t envisage opening late at night. Licensing consultant Geoff Cooper said on behalf of Mr Hill that the company would comply with noon to 10pm licensing hours. He said: “We think we have a modest application which is not going to cause a problem. The panel retired to deliberate and said that it would inform Mr Hill of its decision within five working days.